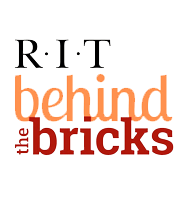 The architecture of Rochester Institute of Technology is characterized by a high degree of recognized design excellence, and was purposefully designed in a single consistent vocabulary of architectural form. As a result, it is imperative that any proposal to change or add to the campus environment be subject to close analysis and regulation. It is the role of the Campus Aesthetics Committee to fulfill this responsibility in an advisory role to the Senior Vice President of Finance and Administration. Monitoring major changes, temporary and permanent, which will impact the existing aesthetics and architectural elements of the RIT campus. These elements include (1) buildings, both in their exterior and public interior forms; (2) the grounds and external spaces in all their aspects, man-made and natural; and (3) the artworks which are permanently and temporarily placed within the buildings or on the grounds. Proposed changes to the above elements may be alterations, deletions or additions of new building elements or new buildings, but in every case the Campus Aesthetics Committee is charged with insuring the continued design quality and integrity of the campus buildings and environment. It has been emphasized that art plays a significant role on the RIT campus and steps must be taken to enhance our campus as a "work of art." The Campus Aesthetics Committee's charge also includes the recommendation, solicitation, and review of gifts of art and their appropriate placement in the campus environment.